I was thinking back to the beginning of this blog when I first started publishing. It's amazing that it's been 9 years since November 2009! Where did the time go? What happened in those years? I only wish I could retell the good times and bad times like a marathon video clip, or a continuous movie, drama based on real-life. But I can't even figure out where to begin, as I am too busy having fun! Too busy living and building more content to share one day. 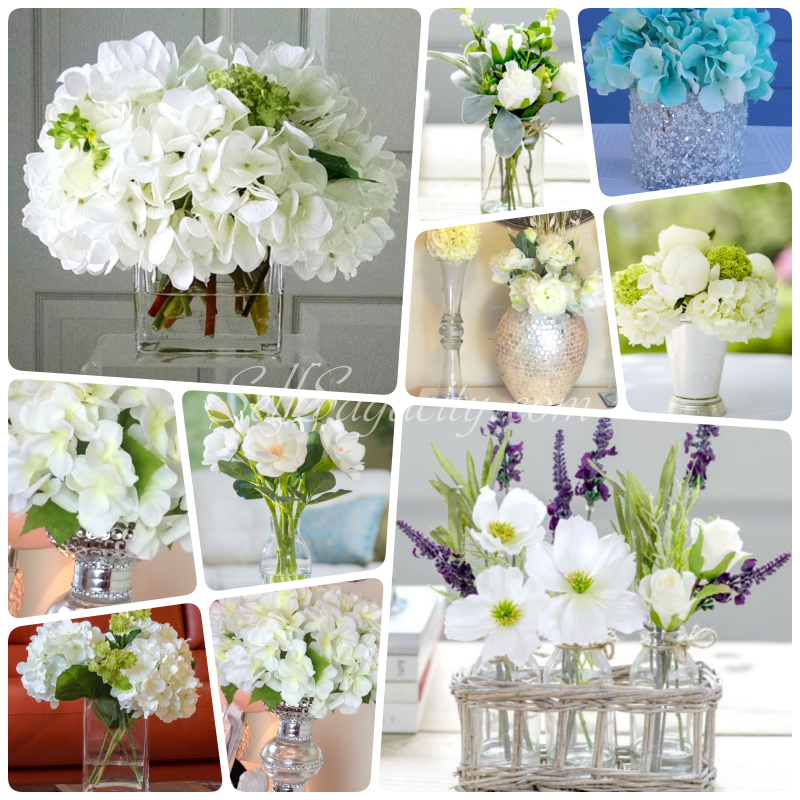 I was inspired to create a mosaic with my favorite White Flowers in Vases clipped from online. I remember when I was actively blogging, I used to participate in memes, like Mosaic Monday. I was never good at being consistent, the every week thing - is just too much sameness for me. I live for changes. Beyond Wandering is very good at being consistent, she is so good at being on time every week and meeting those steady events. I don't know how I manage to stay in marriages and meeting the daily requirements all these years - but I do. And that's probably why I don't have many traditions in my family. Back to the real purpose of this post - I like to share the mosaic I made while thinking of my readers and friends. Two of my favorites of the ten favorites below are the two biggest photos in the mosaic. Can you tell which ones? Which are your favorites?